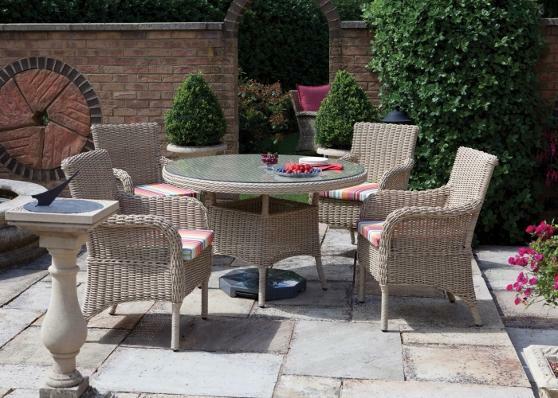 As a perfect accompaniment to your Florida lounging set why not add the Dining Set. Offered in a choice of 2 round tables, the 120cm is perfect to seat 4 people while the 150cm will comfortably seat 6. The carver chairs and table are woven with the same unique Natural Effect Rattan as the lounging set and the reversible seating pads can be made to match or contrast with the lounge cushions.